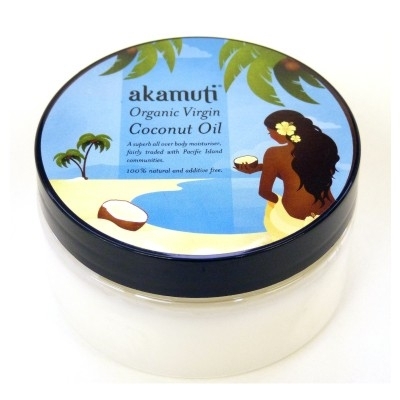 Another superb "Akamuti" body moisturiser, great for dry & sensitive skin! This organic shea and olive body butter combines two wonderful ingredients in this pure and simple blend. Olive oil is rich in minerals, proteins and vitamins, especially in Vitamin E, which is a potent anti-oxidant. Olive oil also replenishes moisture and nutrients, lost through exposure to the sun. It has been used topically to maintain healthy skin for many thousands of years. Combined with shea butter, this is a rich buttery emollient which keeps the skin supple and silky smooth. This is a particularly good skin food for sensitive or dry skin. Apply it as often as required to any dry skin patches. This tub of skin softening goodness also makes a lovely rich hand and foot butter for any areas of hard, tough skin. Organic Shea Butter: A superb, natural skin food for dry skin. Ethically traded with producers in Ghana, this organic shea butter is an important resource for local communities. The producers harvest shea nuts from wild Karite trees. Regardless of their indigenous knowledge, women are often excluded from mainstream employment because they do not have a formal education. Shea butter provides a valuable and sustainable source of income to these people and ensures better amenities for their communities. Lets spread the positive effects of fair trade! Ingredients: Organic Virgin Fair Trade Shea Butter (Butyrospermum parkii), Organic Extra Virgin Fair Trade Olive Oil (Olea europa).